The bed seems like cloud. I'm feeling so high i can't stress it enough how pleasant it is to be at Homerton House Apartment. The welcome procedure. The key handover procedure. The apartment was lovely. I would definitely stay there again. I was within walking distance from the train station. Great location and well equipped apartment. Tea, coffee, milk, bread etc. On arrival were very much appreciated. Thank you! Superb apartment very well appointened, very clean and warm. Very nice kitchen with plenty of facilities. Conveniently close to the railway station. In short it is a great value place for Cambridge. In addition, Michelle the host is very helpful and takes great care and attention in the presentation of the apartment. 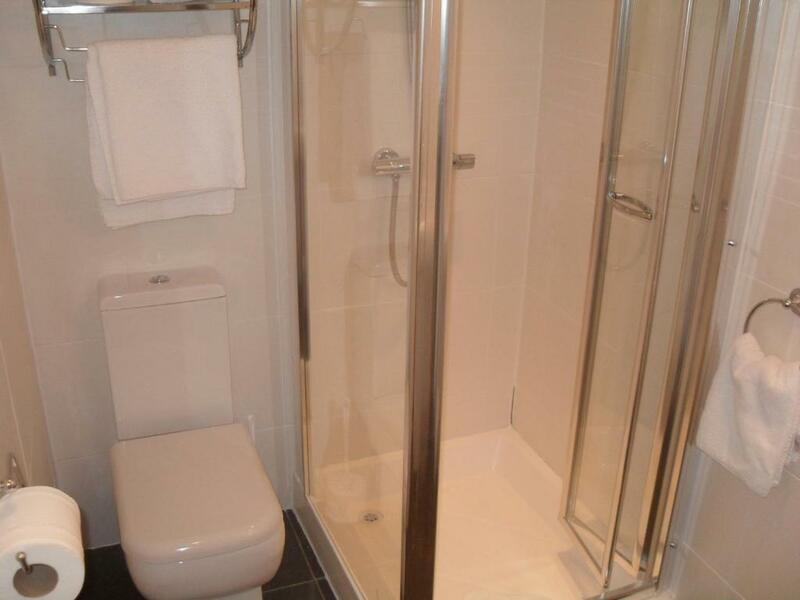 Convenient location close to shops and leisure facilities; short bus ride into the city. Small garden to store bikes. Fruit, bread, milk, tea and coffee all provided. Location is great and host responded promptly. Liked welcome food! 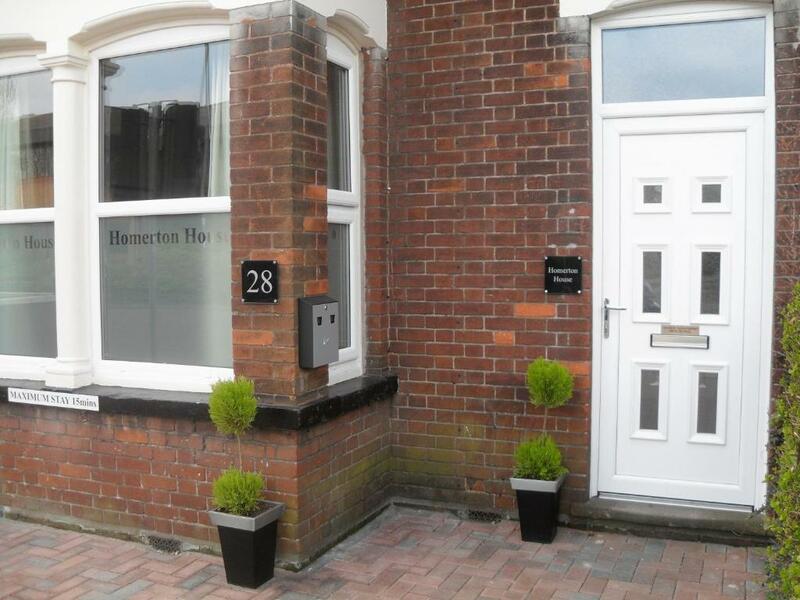 Lock in a great price for Homerton House Apartments – rated 8.7 by recent guests! Homerton House Apartments This rating is a reflection of how the property compares to the industry standard when it comes to price, facilities and services available. It's based on a self-evaluation by the property. Use this rating to help choose your stay! One of our top picks in Cambridge.Homerton House consists of 4 fully furnished apartments in the heart of Cambridge. There is free Wi-Fi in all areas and the city center is a 20-minute walk away. There are flat-screen TVs with digital channels in both the lounge and bedroom. There are also DVD players and free laundry facilities. Each one-bedroom property is of a high standard, with good-quality fixtures and furniture. An easy self-check-in can be pre-booked. Just a 10 to 15-minute walk from Cambridge Train Station and Addenbrokes, Homerton House is in an area well-serviced by public transport, offering easy access to Cambridge city center. When would you like to stay at Homerton House Apartments? The apartments feature hardwood floors, leather sofas, stylish equipped kitchens and small but modern shower rooms. The kitchens have wooden work surfaces and various appliances including microwave, oven/stove, tea kettle, toaster and all necessary silverware/cookware etc. The kitchen is found within the lounge area which also contains a dining table with chairs, so that everything is conveniently to hand. Each apartment has a 32-inch flat screen TV in the lounge with over 30 channels to choose from. The bedrooms also boast a 19-inch flat screen TV, again with over 30 channels. All apartments are one bedroom and sleep two people in an excellent quality double (4’ 6”) bed. The beds have comforters, and towels are also provided along with dishtowels for the kitchen. Homerton House Apartments are located at the city centre end of Cherry Hinton Road. The Cambridge Leisure Park is a 2 minute walk away and you can find the following restaurants and leisure activities here; Bella Italia Frankie & Bennys Moza Indian Buffet Restaurant Chiquito Restaurant Bar & Mexican Grill Five Guys Burger & Fries Nines Global Buffet Nando's Rockers Steakhouse Subway Costa Coffee is located opposite the Leisure Park, on the same side as Homerton House. Tenpin Bowling Alley The Light Cinema Sing Dizzy The Junction 1 & 2 - gig venue and club There are 3 supermarkets within a 5 minute walk, with Sainsbury's and Tesco Local being located on the Leisure Park and the Co Op is around the corner on Hills Road. Pure Gym is located at the Leisure Park. This is a 24 hour gym that allows you to purchase a day pass, or 5 visits that can be used within 30 days so very flexible for those who want to keep up their fitness regime whilst away from home. If you walk away from the city centre, down Cherry Hinton Road, there is a variety of hot & cold take away food outlets, Post Office and Italian Deli, as well as Taj Tandoori, a lovely authentic curry house. You can also find The Rock, which is a traditional English pub with a great value menu and shows all the sports fixtures. 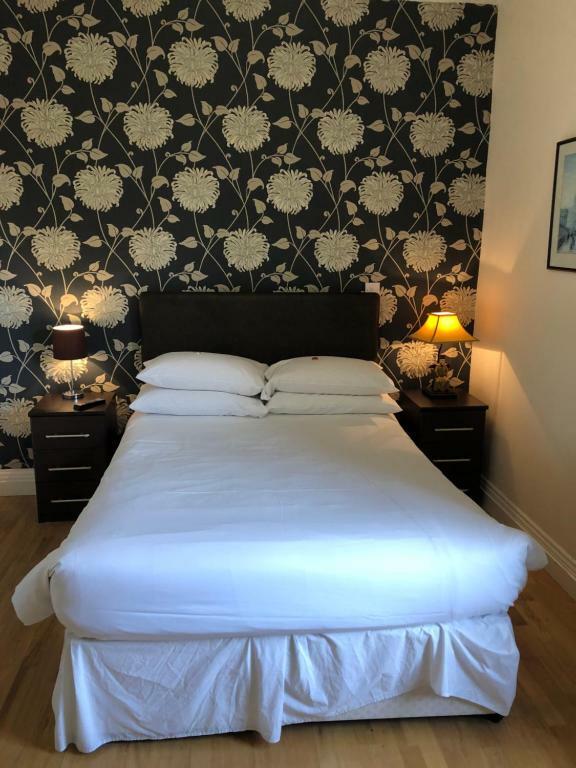 All in all, you can find everything you need during your stay within a short walk from Homerton House Apartments, making it a great place to stay. House Rules Homerton House Apartments takes special requests – add in the next step! Homerton House Apartments accepts these cards and reserves the right to temporarily hold an amount prior to arrival. All arrivals must contact the owners prior to arrival to arrange check-in. Welcome packs are only available for bookings of 3 or more nights. I could not control the heat and was cold at times. It was put higher by request. The walls need some redoing. No parking, but space to unload car. A coffee pot would have been nice! It could have been a bigger room with twin beds and a washing machine haha. There is no soap or hand wash in bath room. Old house, limited daylight, tiny bathroom - not very well thought of door and sink, allow only for slim people. Noisy water pipes and thin walls. Strange when noise when shower on. Clean and tidy. Welcome pack. Bus stop and local shop. 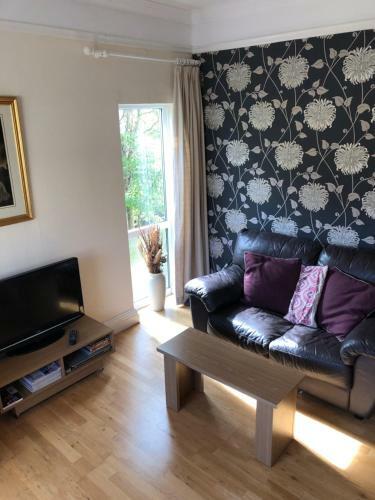 Easy walking distance to town and close to railway station. And lovely places to visit. The TV in the main living room was not working well but the owner made a good effort to try and fix it but it wasn't their fault i guess. Location and collection of keys. It was very nice, comfortable little apartment. I really liked it. The furniture is old and the wifi was disconnecting every few hours. This is all compensated by the good location and could have been an okay stay. There is little space in the apartment and it's hard to enter especially with some amount of luggage, because of how narrow the doorway is and doors are closing automatically with no door stopper visible anywhere. But this was completely ruined by this event: a day before I had to check out someone entered the property while I was in the bathroom. This must have been the host or someone send by the host with apartment keys, because the entrance door was locked. There was no warning whatsoever and this person tried to enter the bathroom saying I should have left by 10am, which is the check out time. After I said I've paid for this day of stay and I check out the next day, they left. They didn't even lock the entrance door. Very creepy and disturbing experience. The bed was not cosy at all. I had back pain and it worsens it. It is was in a very good location and next to where I had my conference. The apartment is very spacious and has all needed.